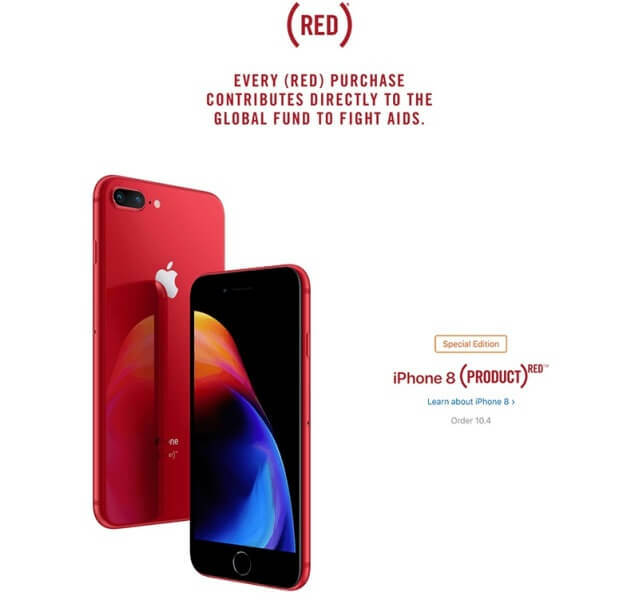 Apple has officially launched the iPhone 8 and iPhone 8 Plus (PRODUCT)RED models, where a portion of proceeds from its sale will be given to the (RED) Organization for HIV and AIDS research and support in eight African countries. Eyes to fight AIDS, the contribution will help people affected by HIV in Ghana, Lesotho, Rwanda, South Africa, Swaziland, Tanzania, Kenya, and Zambia. However, the new variant will still sport the same specs as the iPhone 8 and the Plus models. The iPhone 8 and iPhone 8 Plus (PRODUCT)RED edition is now up for pre-order with prices starting at USD 699 and USD 799, respectively.